The financial crisis that rocked the world a few years back is a reminder of the importance of financial planning. That crisis forced many people to push back their retirement plans because many of them suffered through the loss of many of their retirement benefits. The Asian Financial Crisis in 1997 and the Tech bust in 2000 are other examples of financial crises that could affect retirement planners. Crises like these are inherent in any market-based economy and serve as a reminder that another one could happen any time. There is, therefore, a need for long-term financial planning with a view that another crisis could happen. Retirement is the most common long-term financial goal, but aside from this, there’s also home ownership, and children’s education. Here are some ideas you can consider when creating long-term financial plans. 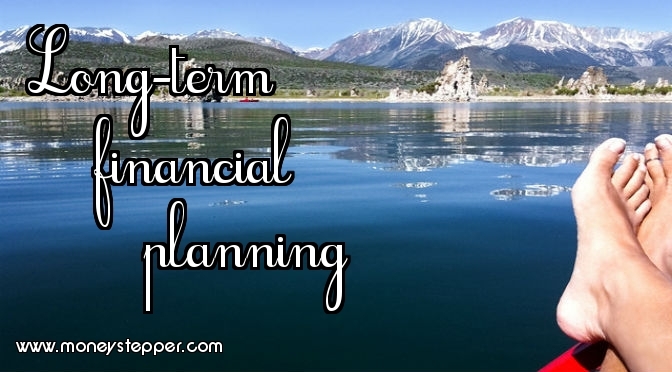 The good thing about long-term financial planning is that most of these expenses can be anticipated. You can, more or less, pin down when you’ll retire and how much your children’s education will cost. This makes it easier to get an idea of how much you’ll need to save. Any long-term financial planning requires the creation of a budget. A well-crafted budget is built around a realistic assessment of one’s income and prioritises the funding of necessary expenses such as housing, food, and utilities. The budget should also allocate a portion of your income towards your retirement fund such as 401k plans. If your employer has a matching program for retirement plans, take advantage of this, and contribute the maximum amount your employer will match. You should also take steps to cut down on expenses. Shopping around for more affordable monthly mobile and Internet plans should be done periodically. You could also look for better financial products such as deposit accounts that earn more interest. Or for websites that allow you to compare credit cards to find which ones that have lower interest rates, smaller annual fees or better cash-back and rewards. Long-term financial planning also requires you to be ready for any event that could harm you financially. You never know when a medical emergency can happen to you or your family or if you suddenly lose your job. Building an emergency fund is vital and will help you weather financial shocks. A recommended emergency fund is equivalent to 8x your monthly salary. This should be enough to fund your household expenses as you look for a new job to transfer to if you lose your current one. Another way to prepare for financial shocks is to get covered by insurance. Medical insurance can protect you from high financial costs if you or anyone in your family gets sick. Life insurance can provide your family with a source of income if you suddenly pass away. With your monthly expenses covered by a well-crafted budget, you should also make the effort to eliminate any debt you might have. Interest payments on credit card bills are an additional expense so eliminating credit card debt can help you save money that could otherwise go towards your emergency funds. It can also help towards raising your credit profile which makes you better prepared if one of your long-term goal is to eventually acquire your own house. And lastly, any long-term financial planning should include investments. The past financial crises show how relying on pensions will not be enough to fund your retirement. Lifespans are also getting longer so there is also a chance your pension will run out. Take some time to assess your risk appetite and pick investments that fit your risk appetite. Stocks, bonds, and mutual funds are some of the investments you could look into. You could also consider properties you can rent out and this can also prove to be a long-term source of income for you. Talk to an investment adviser so they can recommend investments that can help you compliment your retirement pension. No one can tell exactly when the next financial crisis will happen but we can be certain that another one will. Budgeting, creating an emergency fund, being adequately covered by insurance, and investing are some of the steps you can take to improve your financial position so you can achieve long-term financial goals while being sure you are protected from any financial catastrophe that might happen. Ryan Del Villar is a finance blogger and Content Strategist for MoneyHero. He is also a freelance Online Reputation Management writer. So spot on! If only financial planning isn’t so hard to do. Sometimes, having the right discipline where finances is concerned is difficult especially if the “I owe it to myself” attitude kicks in. I know because I was once like that. But after lessons were learned, I am doing my best on frugal living. What serves as my reminders? Blogs such as this for which I am thankful that writers are so generous in sharing their thoughts and knowledge. I think so many people these days develop a short term focus that articles like this are important reminders that the small gains have to add up into something more and be part of a bigger plan. Exactly! I wish I would have done more long-term planning before this most recent financial crisis hit. I would have done things much differently if I would have had a set plan in place! Q&A 40 – What Is The Best Short Term Investment? Should Businesses Give Employees Financial Planning Advice?